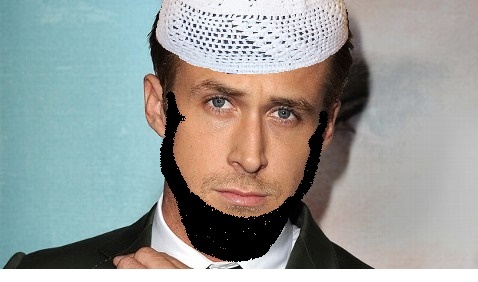 Burbank, CA (5:00 P.M. PST)– Experts from around the nation gathered in Burbank this afternoon to announce the complete halt to any and all arranged marriages planned within the Muslim community following Ryan Gosling’s sudden conversion to Islam last night. Gosling will be attending the Burbank Muslim Community Center fundraiser tomorrow night, where he is expected to be overwhelmed by enthusiastic Middle-aged men with single daughters. Yahya Ridwan is a staff writer for The Hummus and United States Pacific Region Correspondent. He can be reached though our email address the.hummus.news@gmail.com.